A Briefing will be held at 1030 on Saturday 19th August 2017. Camping, caravans and motorhomes – We have some limited space on site - contact admin@ballyholme.com as soon as possible – available on a first come first served basis. Jimmy has agreed to be available for voluntary scrutineering, weigh boats and any other measurement for any competitors. The International Association's weighing scales have been borrowed. If you wish to get you boat weighed please bring your boat certificate along to record any corrector weight changes. The Irish AGM will be held on the Sunday - all GP14 members are welcome. Events for 2018 will be discussed. If your club wishes to nominate themselves for a potential event please let Laura know before the AGM. 10 Irish boats travelled over to Looe in Cornwall for the UK National Championship and had a great time. Sunday started sunny and medium winds for the practice race with Curly Morris & Laura McFarland chosen as pathfinder for the first gate start. All went well but all the fleet voted with their feet after the first lap and no-one sailed any further due to the increasing winds and wanting to save their energy for the first race. With no positions given Laura & Curly had to once again be pathfinder. It did not pay too well to be pathfinder as the wind shifted. The race officer choose to set a line instead of the gate start on the Monday - not a great for some with 14 boats eventually BFD'ed after numerous restarts. The 2nd race of the day was again on a line start seeing 6 BFD'ed. Not a great day on the water at all with 3 boats getting double BFD'ed. Race's 6 & 7 were a great day for the Irish silver fleet with Bill & James getting 2 top 10 results and taking the Silver win for both races. Michael Cox & Rebecca Jeffery followed very closely on their tails taking 11th in both races and taking home the Silver 2nd for both races and pathfinder for the race. The Irish did themselves proud throughout the whole week with race top 3's in every race except race 1. Congratulations to Ian Dobson & Andy Tunnicliffe on winning the championship with very close racing to runners up Mike Senior & Chris White. Need some final training before the nationals? Or just want to improve your club rankings? 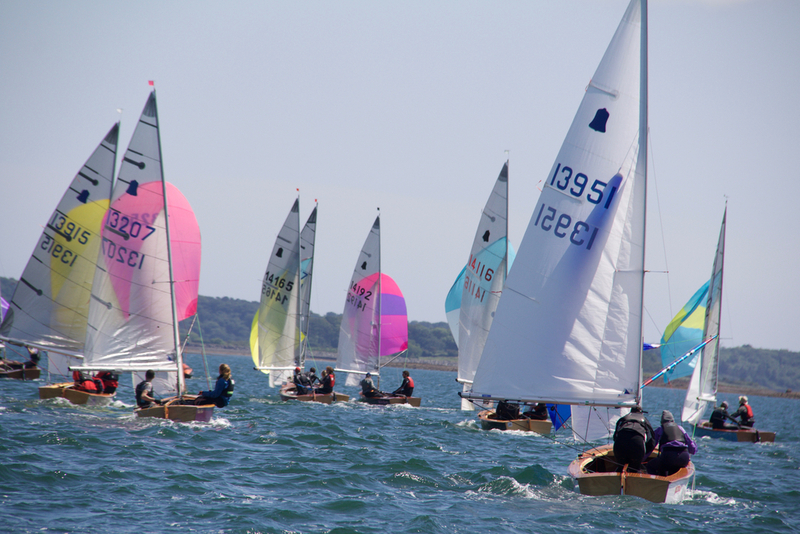 The Irish GP14 Association & Rush Sailing Club are hosting a 2 day training event on the 12th & 13th of August primarily for silver and bronze fleet sailors. ISA Approved Coach and GP14 Sailor Doire Sheils will provide the training with the overall aim of improving your racing from tuning your boat on land to maximizing your speed on the water. Open to all abilities. Numbers are limited so reserve your place NOW! Entry just €20 euro per boat. 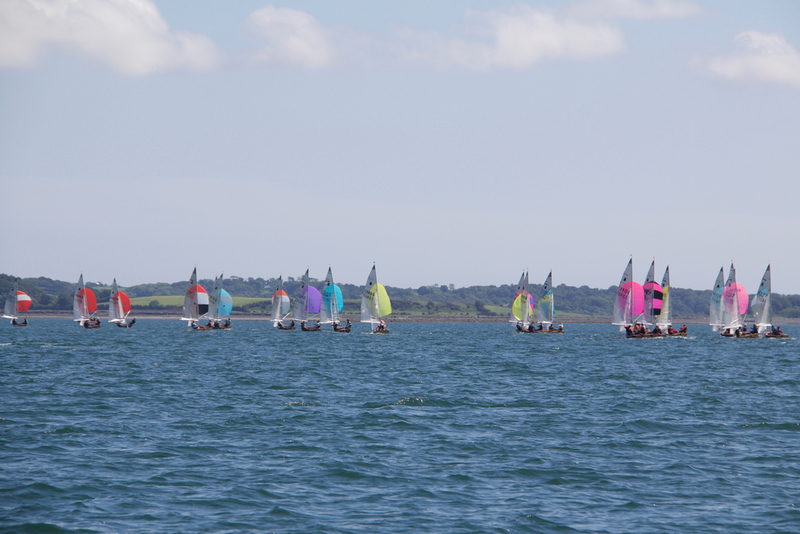 Donaghadee SC are hosting this year's Youth Training using a similar format to last year, being held on the two days directly before the Irish Nationals in nearby Ballyholme Yacht Club. The coach this year is the highly talented Ruan O' Tiarnaigh, and with his vast expertise in GP14's this course will surely book out fast. Lunches will be provided and the club bar will be open in the evenings. There are many good eating places in the town. A list of B&Bs can be found on http://www.visitardsandnorthdown.com/where-to-stay , unfortunately camping is virtually non-existent. So if you are looking to brush up on your skills before the nationals or simply want to give GP14's a go for the first time get in touch. GP14's available on loan (subject to availability). The GP14 Class has lost a very dear friend with the passing of Ronnie Thompson who passed away last night. Father to current GP14 sailors Laura and Andy, Ronnie had been ill for some time and passed away peacefully accompanied by friends & family. He was a GP14 sailor since the early 1970s and took part in many Irish & UK Championships. In later years he raced cruisers including ISORA. Any of you that knew him will know him as a wonderful gentleman. He will be very sadly missed. Funeral will be held at 1pm on Monday 17th July at the Church of Ireland, St Columba's Parish Church, Gleno Village. The GP14 fleet returned to Dun Laoghaire for a most enjoyable three day Leinster Championship at the four hundred and fifty boat Volvo Dun Laoghaire Regatta where 27 GP14s competed, for the various honours over the full complement of 8 races . With both World Champion , Shane McCarthy, and Olympian, Ger Owens entered, there was much discussion as to who would win out. However the bookies would have had a field day as the championship was won in a most emphatic fashion, by visiting UK sailors Fergus Barnham and Andy Hunter from Snettisham Beach and Nantwich sailing clubs. All was not as it appeared however, as Ger Owens took the unusual role of crewing for his good friend and former Olympic crew Ross Killian. Friday saw the fleet on the South Bull race course with Barnham/Hunter laying down an early marker in Race 1, by pulling away to establish an early lead with Keith Louden and crew Alan Thompson signalling their intent by notching a definite second. Norman Lee showed a good turn of speed to sail into third place. 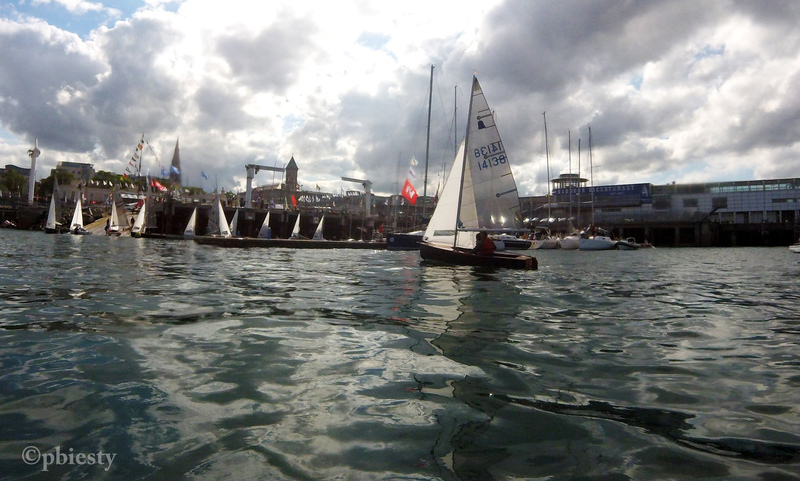 Silver fleet sailor, young Peter Boyle crewed by his dad Stephen sailed a great race to slot into fifth place. Race 2 threw up a great surprise with the first four rounding the weather mark heading off for the outer loop not realising that the inner loop was the correct course. Not quite believing what was unfolding in from of him, and ready to take full advantage ,was Hugh Gill and Conor Twohig who promptly led the rest of the fleet back down the run on the inner loop and went on to take the gun, followed home by the up and coming young guns of Sutton Dinghy Club, Alan Blay & David Johnston in second place, with Louden & Thompson taking third. This left the favourites slightly embarrassed and determined to do better. The final race of the day finally saw Shane McCarthy & Damien Bracken unleash their potential, and left the fleet looking at their transom as they took the bullet with Blay & Johnston showing early consistency by again taking second, and Barham & Hunter not letting go by taking third. Beer, food ,sunshine and happy sailors on the deck at the Royal St George YC afterwards, lent a very Mediterranean atmosphere to the entire weekend! Saturday ‘s forecast was for very light breezes but a good steady breeze blew all day long, providing great racing for the fleet. The highlight of the day was the three wins recorded by UK pairing of Barnham and Hunter, firmly establishing them in an unassailable position after 6 races. Gill and Louden took a second each with Lawrence Baalham and Robbie Richardson surprising all, by rounding the weather mark in fourth place and finishing the race in second place. The lads are still smiling! Blay & Johnson maintained their pace by notching a 4th and 3rd leaving them in second place with 2 races to go followed by McCarthy and Bracken in 3rd with Gill & Twohig in 4th overnight and all to play for. 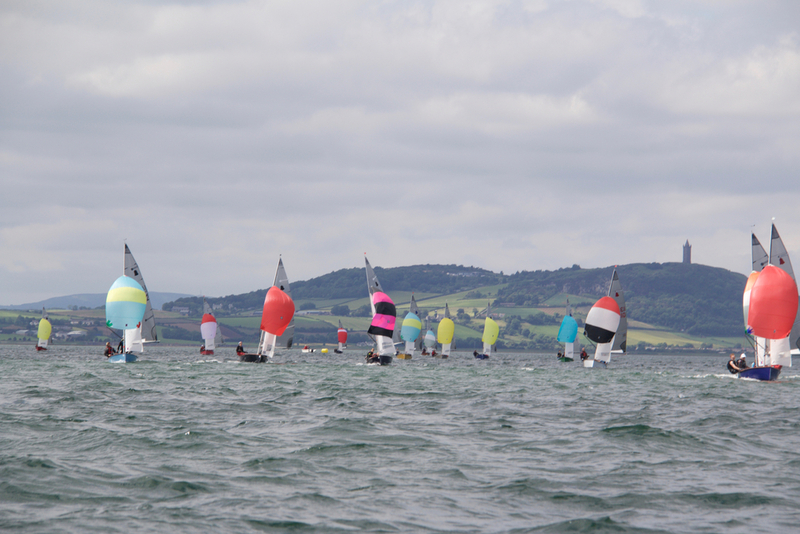 In the Silver Fleet, the Boyles held a commanding lead on Saturday evening in front of the Gallagher brothers from Lough Foyle and Doire Shiels and Graham Burns from Skerries. 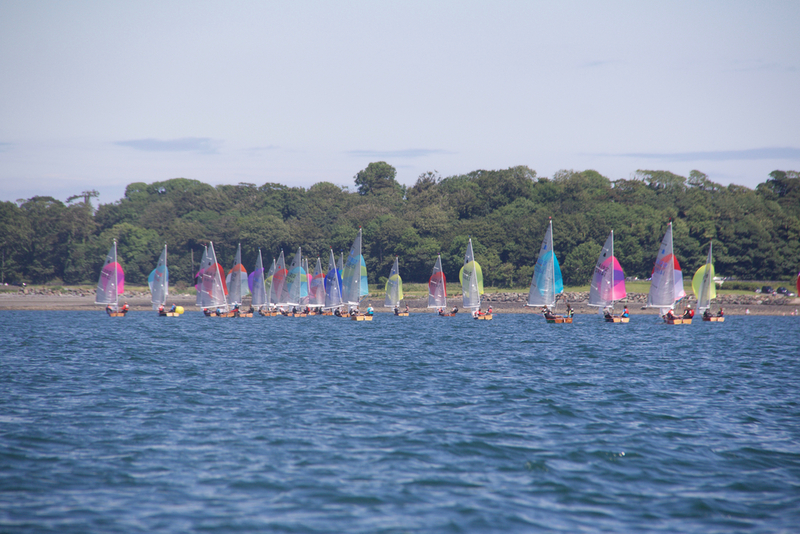 There was a great battle going on in the Bronze fleet with only 4 points separating the three contenders: Mathew Street from Blessington, Jack Buttimer from Youghal and Martin & Vicki Dews from Donaghadee in that order. 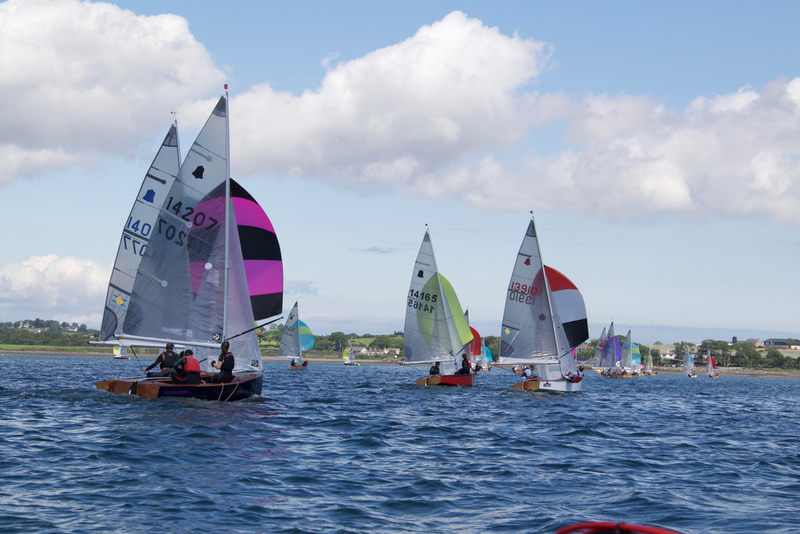 The fleet moved to the Salthill course on Sunday, and were treated to the close up sight of the Moth dinghies up on their foils and racing at incredible speeds in comparison to the comparably rather sedate speed of the regular classes. Quite spectacular! Well, the boys from the UK decided to do a bit of sightseeing around the bay and cruised to a leisurely 4th & 6th in the 2 races which they proceeded to discard, becoming worthy Leinster Championship winners. Keith Louden and Alan Thompson clocked in a very smart 1st & 5th to jump from 5th overall to 2nd overall – a great performance with Gill & Twohig surprising themselves to finish third in the Championship with a 6th & 3rd. Consistent performer of the day was surely Curly Morris and Laura McFarland who racked up a 3rd and 2nd. In the Silver Fleet, Sunday saw Peter & Stephen score steadily. But in the last race Gareth & Richard Gallagher threw caution to the wind, started at the pin and steadily drew away to a convincing win which lays down a marker for the future. These are boys to watch when they get the consistency sorted. Martin & Vicki Dews took a closely fought Bronze fleet by taking a 13th in the last race which saw them win by a mere 2 points from Mathew Street who was on equal points with Jack Buttimer. Peter Boyle continues to show promise among the youngsters in the fleet and in finishing 7th overall was the leading Youth sailor and so is the new GP 14 Leinster Youth Champion for 2017. A big thank you to the many volunteers from the four Dun Laoghaire Clubs, to Volvo and the Spirit Motor Group and the many other sponsors who contributed to the weekend. A great Championship sailed in great conditions by a great fleet of sailors and friends. Long may it continue. Also shore side GP14s were on the regatta advertising hoardings in many places around Dun Laoghaire town. There are now 73 registered boats for the GP14 Championship at Looe with 12 of those slots been taken up by Irish boats. Hard copy will also be distributed in Skippers Case at Registration. Sun 9th July – Salthill – 2 races, start time 1055, no warning signal will be made after 1355 on Sun 9th July. A great mixture of all types of food offerings are available across the Waterfront over the 4 days of the Regatta from BBQ, Pig on the Spit, Lobster and Oriental. The National, Royal Irish and Royal St George yacht clubs will host special regatta dinners on Friday 7th and Saturday 8th July. All Details of tickets and booking procedure to follow. Coleraine 24hr race - Team GP14 win again!! Congratulations to Alan Thompson and his GP14 team for retaining the Coleraine 24hr Race trophy. Martin Culbertson, representing the title sponsor, Spar, and CYC Commodore Brian Holmes presenting the 24 Hour Race Trophy. 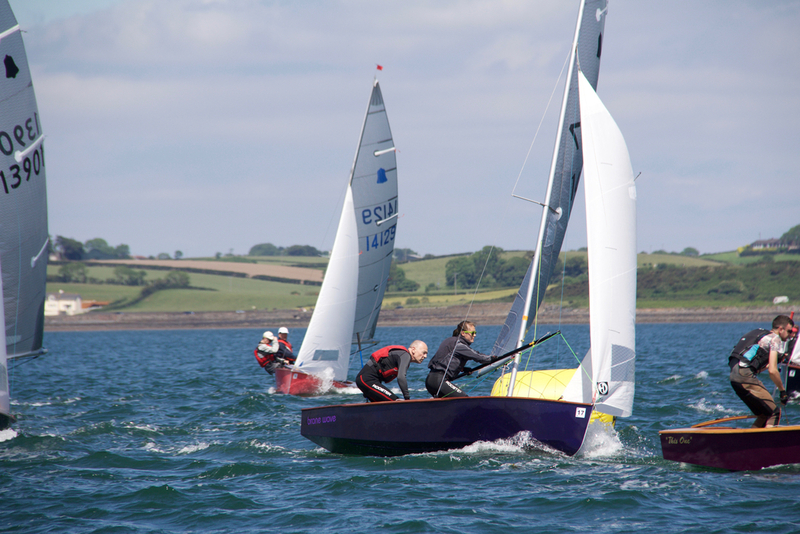 Mediterranean style sailing on Strangford Lough for the Ulster Championships! The GP14 Ulster Championship was won by Shane MacCarthy & Damien Bracken. The GP14 Ulster Championships took place over the weekend. 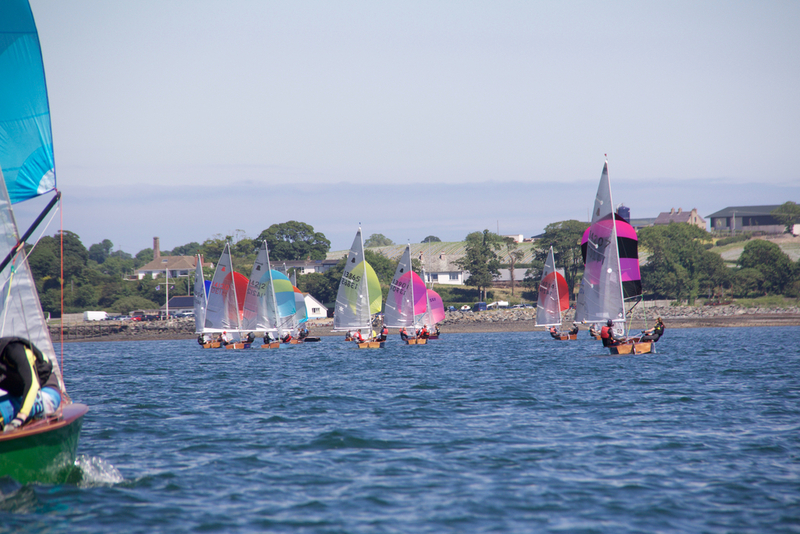 The fleet were welcomed back to Newtownards Sailing Club by Michael Cox who organised an outstanding event. It felt more like Barbados than the Ards peninsula as we had the most glorious sunshine and temperatures in the mid-twenties all weekend. On Saturday the wind was 10-15 Knots but moved several times during racing by up to 60 degrees at times, causing major headaches for PRO Ruan O’Tiarnaigh, who as we expected rose to the challenge and got three excellent full races sailed. Saturdays racing was dominated by Shane McCarthy crewed by Damien Bracken (Greystones Sailing Club) taking three bullets with the main scrap happening behind for second place. On Sunday we had two additions to the fleet, JP and Carolyn McCaldin (LEYC/SYC) and Ger Owens crewed by Melanie Morris (RStGYC). Ger & Melanie turned up to embarrass the rest of the fleet with their performance on Sunday, winning all three races. In fact they were that so far ahead the discussion in our boat centered around a scene from Father Ted, “Is that a small boat Ted? No, its just far away”. It is high time Ger/Melanie shared their light weather upwind speed techniques with the rest of the fleet because it can’t be any fun being that far in front. In race 2 on Sunday the Gallagher brothers from Moville passed six boats from the first Windward mark and sailed through Shane McCarthy/Damien Braken and Alan Blay/David Johnson (SDYC) at the top of the fleet as though they were first stagers. The Gallagher’s are the boat to watch, up and coming stars, promotion to the Gold Fleet being a distinct possibility. Overall winners of the weekend were McCarthy/Bracken, with Alan Blay/David Johnson second and Niall Henry/Ossian Geraghty (Sligo Yacht Club) in third overall. No surprise that Gareth and Richard Gallagher took overall honours in the Silver Fleet also winning the Ulsters Youth event. Doire Shiels and Andrew Sexton (Skerries Sailing Club) took second overall in the silver fleet putting in a very consistent set of results over the weekend, with Peter Boyle crewed by General Pinochet, aka dad, in third. In the Bronze Fleet, Josh Porter & Catherine (Newtownards Sailing Club) had to slug it out Geoff and Jane Murdoch also (NSC) with the Josh & Cat ultimately winning the Bronze Fleet. A special thanks from the GP14 Class Association of Ireland to Newtownards Sailing Club, especially to organiser in chief, Michael Cox, PRO Ruan O’Tiarnaigh but also to all the volunteers who gave up their time in preparation and during the event, allowing all of us to go mess around in boats. The next event on the GP14 Calendar is the Leinster Championships which is incorporated into the Dun Laoghaire Regatta, which takes place on 7th-9th July 2017. The GP14 Class Association are looking forward to seeing you all there. Below are the entry forms, SIs and NORs for the Ulster Championship being held at Newtownards SC. Congratulations to Ger Owens & Mel Morris on their Purcell 2017 win. 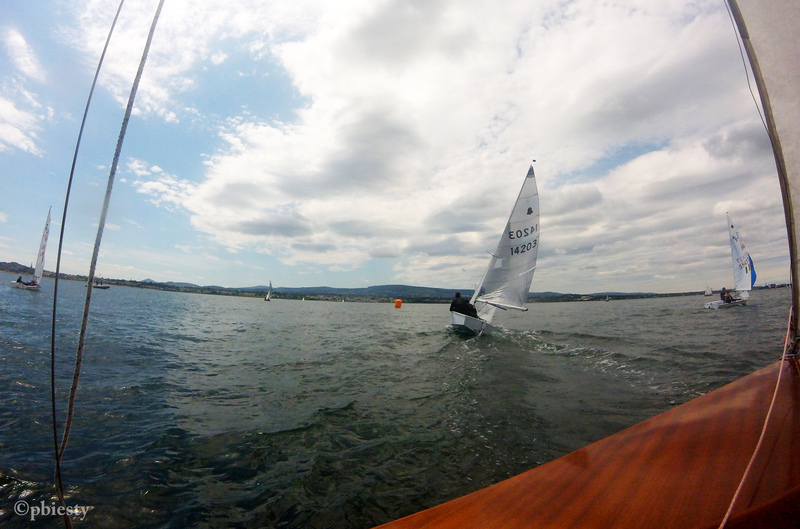 It was a hard fought battle between Ger & Mel and Greystones Shane MacCarty sailing with Damien Bracken. The Purcell Trophey 2017 was hosted by Greystones Sailing Club in their fantastic new harbour and clubhouse. After an hours wait on sat morning for the mist to clear the 26 strong GP fleet finally launched. Race 1 got underway with a clean start and no recall (unusual in this fleet). Get Owens & Mel Morris back in business with the win, Shane McCarthy & Damian Bracken taking 2nd with Alan Blay & David Johnston in 3rd. Race 2 started with the wind starting to build. Shane & Damian took the win with Ger & Mel in 2nd and John & Donal McGuiness in 3rd. Race 3 started with gusts of winds of 26 knots. Alan & David retired with gear failure. Ger & Mel continued to dominate and brought home their 2nd win for the day. Shane & Damian picked up an OCD so Colman Grimes & Eoin Boyle came home in 2nd with Alistar Duffin & Andy Corkhill in 3rd. Race 4 started on Sunday morning with lighter winds and sunshine, Ger & Mel once again on form with another win and Alan & David with their boat repaired took 2nd just ahead of Shane & Damian in 3rd. Race 5 was a closely fought battle between Ger & Mel and Shane & Damian with Ger &Mel winning and Shane & Damian close behind in 2nd. Simon Culley & Libby Tierney pulled off a fantastic move on the downward leg by going close to the shore and took 3rd place. Race 6 was cancelled as the wind died. So the gold fleet was won by Ger & Mel. The silver fleet was dominated by the Gallagher brothers, sailing well once again. The bronze fleet was won by Josh Porter & Sina Hartman in their first event. The Riocard O’Tiarnaigh Challenge 2017 was hosted by Swords SC on Saturday 29th & Sunday 30th April. 17 boats from as far north as Moville and south as Dungarvan, attended despite the challenging forecast which proved to be right. All boats launched and race one was started on time. Conditions looked fine from shore but once on the race course it was a very different story and most competitors tested the water temperature at least once throughout the day. Bronze, Silver and Gold fleets each sailed in separate flights with 4 boats in the bronze, 5 in silver and 8 in gold. Race one was won by Sam Wray & Michael Broaders, Sligo YC, in the bronze fleet from Martin & Vicky Dews, Donahadee SC, Bill & James Johnson, Lough Foyle YC, in the silver and Shane McCarthy & Damian Bracken did a horizon job and showed the gold fleet a clean pair of heels. There was a lot of place changing with the McGuiness brothers eventually taking 2nd place and the McCaldins in 3rd. Race two was quickly started although some competitors chose to head for the shore. No finishers in the bronze fleet, the Johnsons again dominated the silver fleet. In the gold fleet 3 of the top 4 boats capsized within 5 boat lengths of the weather mark, allowing Hugh Gill & Conor Twohig, Sutton DC, to take a clear race win with Keith Louden & Alan Thompson also staying upright to take 2nd. The McCaldins recovered from their swim to take 3rd. After lunch ashore a depleted fleet reluctantly relaunched to find the conditions even more challenging on the race course. 3 short races were sailed. Two 1sts in the bronze fleet saw Blessington SC’s Matthew Street & Lee McMullan take a single point victory from Sam Wray & Michael Broaders. One 1st and two 2nds saw the Johnsons take the silver fleet from Stephen & Peter Boyle, Sutton DC with Dungarvan SCs father and daughter team, Simon & Ella Crowe taking 3rd. McCarthy & Bracken dominated the gold fleet with a further three 1sts showing great speed and boat handling in the gusty conditions. The McGuinness’s secured 2nd place with three 2nds and the McCaldins 3rd with two 3rds and a 4th. Sunday dawned as forecast with winds mid 30mph, the race officer wisely decided not to hold the finals. Thanks to Swords SC for hosting the event. 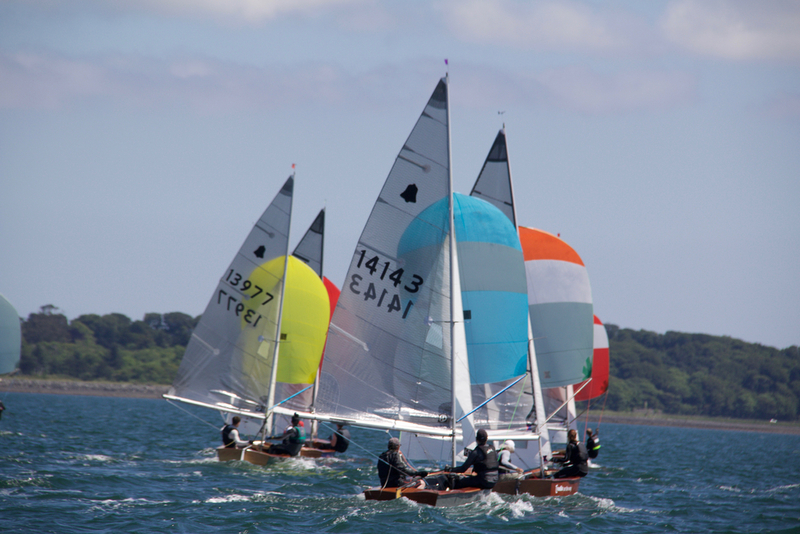 Next event on the circuit is Purcell Trophy in Greystones SC (27th & 28th May). Hope to see you all there.